Editor’s note: I am happy to introduce a new contributor for project333.com. Meet Erin! She is lovely and talented and really gets dressing with less. We met after I watched this video shown above that she created. She even illustrates her capsule collection. I hope you enjoy Erin’s first article as much as I do. But I was worried about those things too. I tried Project 333 because, like a lot of you, I felt weighed down by the stuff in my life. I wanted to challenge myself and see what it would be like with fewer clothes, but I didn’t know how it was going to work out and I was skeptical about how I would feel about my clothes at the end of 3 months. I admire people who take a functional, ‘uniform’ approach to dressing. It seems to easily transition to the capsule wardrobe concept. However being someone who likes to play with clothing and enjoys adapting my style to the day and my mood, I was unsure how a capsule wardrobe would work for me. What completely surprised me about Project 333 was that having a smaller wardrobe actually made me more creative than ever with my outfits. Here are some tips if you’re looking for a bit more creativity and expression within your capsule wardrobe. 1. Play around and try new things. If you have some time in the morning (or when you are putting together your 33 items at the beginning of the season), try combinations in front of the mirror that you haven’t worn before. Clothing looks completely different on the body than it does hanging and sometimes things you’ve never considered together actually look great! Also try unexpected layers; I’d never thought about wearing a t-shirt or blouse over some of my dresses, skirts over dresses, tops over shirts, etc., and now I love the looks. Ask a friend (or someone who’s style you really like) about your wardrobe and what outfits they would put together. They might have suggestions that you’ve never tried. 2. Find style inspiration that you can use with your wardrobe. Whether you’ve pretty much nailed down your personal style or you’re still figuring it out, finding inspiration can help you look at your clothes in a new way. I find the most style inspiration from people I see and photos online. Pinterest is a great place to collect them. It’s not about trying to copy a look with the exact items but taking elements and ideas that work with what you have. Have you considered… belting a scarf? Mixing patterns? Cuffed jeans and heels? A feminine dress contrasted with a leather jacket? A graphic tee with a suit jacket? Wearing a dress as an open layer? Black, pink, and yellow together? Belting a sweater? A tied shirt over a dress? The half tucked top? A denim shirt under a blazer? These examples might not be your style and might not work with your capsule wardrobe, if there is something you see and like, consider if the idea would work for you and with what you already own. 3. Follow other capsule wardrobe dressers on social media. There is such an amazing community of people online with interesting takes on Project 333. I love browsing the hashtags #Project333 and #capsulewardrobe on Instagram. It’s a great way to get inspiration about outfits and how different wardrobes are put together. It also shows how people are incorporating their style and Project 333 into their everyday lives, and you get to see outfits on different body types, not just models. If you want to, share your own capsule wardrobe on social media. You might find it fun and that it gives you an extra creative boost to come up with outfits to share online. 4. And most importantly, feel good in your clothes. Try not to see style as something elusive – that’s just marketing trying to get us to buy more clothes – your style is a part of you! Personal style is a combination of your aesthetic (what you visually enjoy), lifestyle (job, activities, budget, family/friends, climate), and emotional/physical body (how you feel that day, what compliments your personality and appearance). If you like what you’re wearing, that’s what matters. Regardless of where you are on your style journey, work on letting go of judgement and fear of what people think. In the same way that we are getting rid of stuff and extra clothing cluttering up our lives, we will be happier by getting rid of negative thoughts cluttering up our minds. 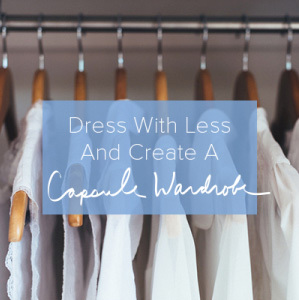 Dress for yourself, wear what you enjoy, and have fun with your capsule wardrobe! 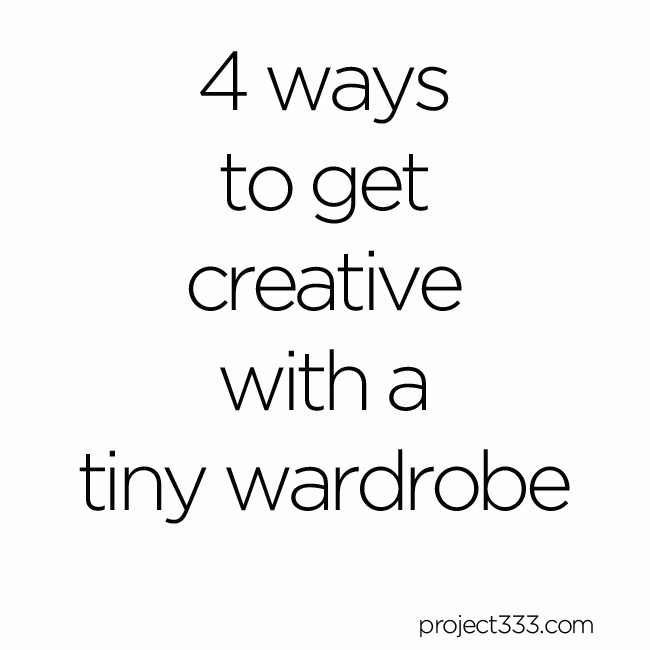 How do you get creative with your wardrobe during the 3 months? Let us know if you have any of your own tips! 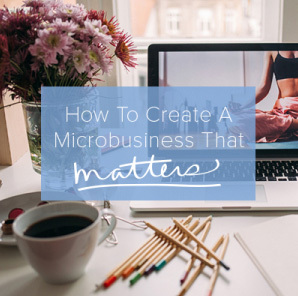 Erin is a fashion designer, illustrator, and eco fashion blogger who is trying to live a simpler and slower life. She creates videos about ethical fashion, green beauty, and capsule wardrobes on her YouTube channel and can also be found on Twitter, Instagram, and Pinterest. And I absolutely agree, Project 333 should be fun, not a burden. It’s always fun for me, but I can understand how some people see the rules and then automatically think it’s not for them. In some cases that is true, however, if you give it a chance, the guidelines are totally customizable to fit your lifestyle. My experience on the whole has been that Project 333 is a delightful way to get to know yourself better, flush out your style better, and actually facilitate a way for me to be more creative with my wardrobe. I love this! I so enjoyed the new ideas and examples. Courtney, I’ve been reading your website for awhile now. Just wanted to let you know how much I enjoy it, how many other minimalist sites it’s led me to. I hope you know that people of all ages read your site (I’m 71) and still come away with ideas. Thank you! I absolutely loved this post! Although, I used ideas from the 333 project when I downsized to a Tiny House, I haven’t taken the plunge yet. I have always been an athlete and a girl whose job required a set uniform, so I completely missed the fashion gene. This project has always intimidated me because I didn’t have a good feel for where to start. These tips were fantastic! As soon as I finish the capsule kitchen challenge I just started, I am moving on to my closets! Thanks for the inspiration and video for us visual learners! I would LOVE to see what a capsule kitchen looks like!! Thanks; I loved this one! And thanks for all of your other amazing posts; you are such a positive force in the world! 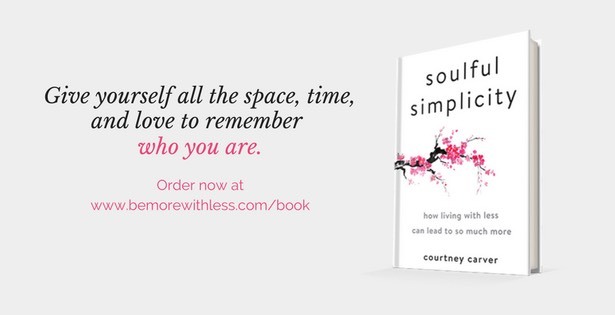 Loved this post — thanks, Courtney, for featuring someone (Erin!) who loves fashion and design. So often, P333 seems like something chosen only by those who are overwhelmed by clothing — I like the idea that people who are really into fashion can benefit from creatively undertaking the project. Erin looks fabulous — I’m inspired! This is a wonderful post! Erin is so inspiring! It’s funny because I’d just started watching her YouTube videos right before this posted. She is full of great idea! Thanks, Courtney, for sharing and, Erin, for writing this! I would love to hear a discussion about when clothing or accessories are too worn out to keep. As I keep fewer items, I find myself taking better care of each one, and I choose quality over quantity. However, each item is also in heavy rotation and gets more use. It’s hard to decide when something should be replaced to maintain the look I want. Any ideas? I love the inspiration here! I am 6 weeks into my Less is More project, and the new challenge I am tackling is… clothes. Ouch. Scary. So the resources on this blog will be more than welcome!